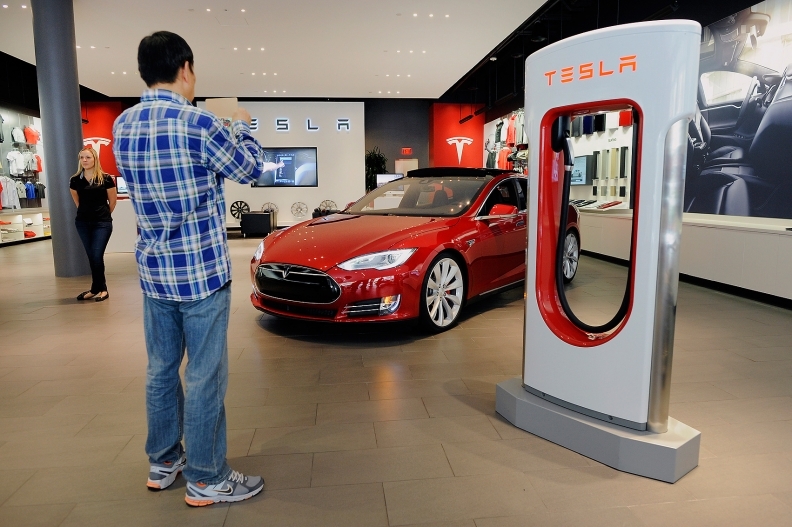 SAN FRANCISCO -- A new referral program from Tesla Motors Inc. that offers discounts to buyers referred by a Tesla owner is drawing complaints from dealers in the electric-car manufacturer’s home state of California. Tesla announced its referral program on July 29, calling it a “short-term experiment” that will guide the company as it crafts its future retail strategy. Under the program, which runs through the end of October, any customer who buys a new Model S online by clicking a link provided by a current Tesla owner gets a $1,000 discount. The owner who provided the link gets a $1,000 credit toward service, gear or the purchase of another Tesla in the future. Tesla has already modified the program in Virginia in response to complaints from the state’s Motor Vehicle Dealer Board. Now the entire $2,000 goes to the buyer. Tesla has pushed back on the idea that state franchise laws should apply to its referral program. “We looked carefully at those regulations,” Tesla spokesman Ricardo Reyes said in an emailed statement today. “They were enacted decades ago to prevent rogue salespeople, not from preventing friends from recommending products they love. Tesla issued a similar statement last month referring to the Virginia law.